My goodness, I loved it. I absolutely loved it. I knew going in from how I perceived the trailer and from a couple of reviews that I read that it could be something special and A Star is Born did not disappoint. It’s a true marvel in the marriage of my two favorite art forms: cinema and music. 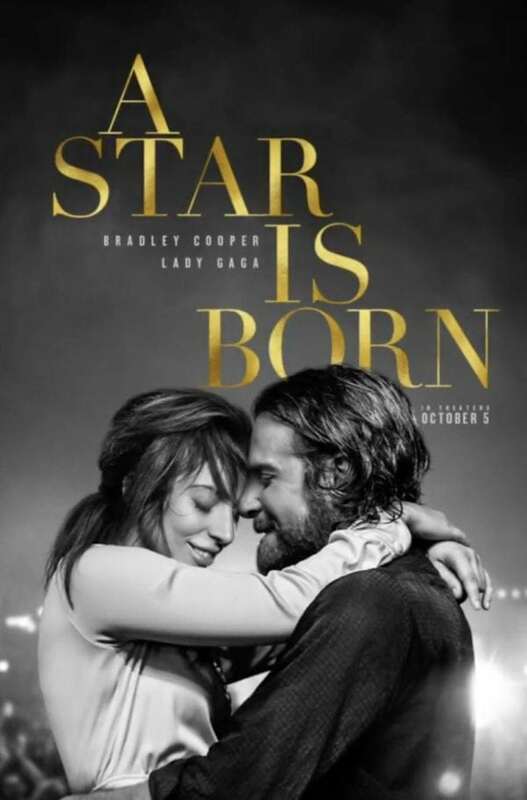 I spent the first half of the film smiling uncontrollably as Lady Gaga’s character Ally is taken under rock star Jackson Maine’s (Cooper) wing and thrust into the spotlight. The entire sequence that leads up to her stepping on the public stage for the first time is remarkable. It gave me goosebumps… It made my eyes water… It made me want to stand up and clap… and there were 90 minutes left in the movie! The second half of the film is a different beast altogether and it took me two viewings (yes, I saw this movie twice in three days) to come to grips with how I really felt about it. While the first half of A Star is Born treads through familiar territory – underdog overcomes obstacles and odds to achieve success – the second half finds the film’s characters travelling paths that may make audiences cringe. That’s a good thing. Life isn’t easy and even the most successful and famous people in the world are real human beings with real problems. That’s something that’s easy to forget in a world where we tend to place entertainers and athletes on a surreal platform where their triumphs and tragedies are merely here for public amusement. Nothing pounds this point home like sitting in a packed theater and listening to the audience laugh through one of the film’s most tragic scenes. I can see how it is humorous, but it’s a horrifying and potentially career-threatening moment for Ally and I can assure you, we aren’t laughing with her. Bradley Cooper has really elevated his star power with this movie. 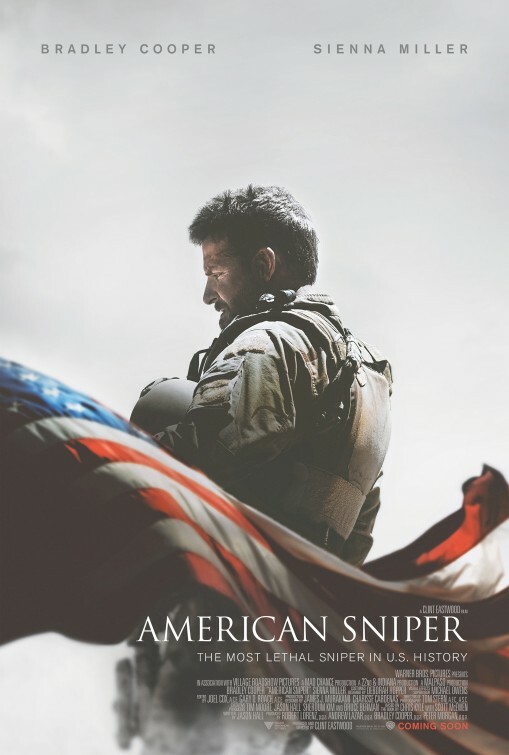 He was already an A-List actor, giving Oscar-nominated performances in Silver Linings Playbook, American Hustle, and American Sniper, but this is the best performance of his career. He really disappears into the role of Jackson Maine and embodies a grizzled, gin-soaked rock star in convincing fashion. And he can sing? And play the guitar? What. Being able to do those things at all is impressive enough, but being able to do them at a high level is pretty mind-blowing to me. I never thought the guy that played Phil in The Hangover could possibly be this talented, but here we are, and Cooper is easily one of my top 5 or so actors of the moment. Cooper also directs A Star is Born and helped write the script. It really is a monumental achievement as this movie is going to get heaps of Oscar nominations. The script may have roots in previous films, but the chemistry and complications of the two main characters feel entirely genuine and that is a credit to Cooper’s intimate, borderline invasive, direction as the camera is unrelentingly capturing their every vulnerable moment in extreme close up. This is particularly true of Jackson Maine as you see him absentmindedly interacting with the people around him while he’s clearly wrestling with the demons inside his own head. Until he meets Ally. Ally gets his whole attention. And she will get yours too. Lady Gaga is a revelation. I’ve read that exact sentence about this movie quite a few times, but I don’t know how else to put it. She is absolutely remarkable. Gaga is an international superstar with over 26 million records sold. She’s as famous for being absurdly eccentric as she is for her music. And yet, she embodies Ally as a talented, but unremarkable nobody and is convincingly blown away by her newfound good fortune. It amazes me that the pop star confidently strutting around in a meat dress and the girl trying to work up the courage to step on stage in this movie can be the same person. I suppose Eminem did something similar with 8 Mile in 2002 when he was at the height of his popularity, but every moment of that movie felt like Eminem was simply playing Marshall Mathers. Ally is so far removed from how we perceive Lady Gaga that even though this movie may be semi-autobiographical it still feels like a transformative performance. Gaga is mesmerizing every moment of this movie. She will get an Oscar nomination and she seems like a favorite to win right now. Andrew Dice Clay plays Ally’s father and Sam Elliott plays Jackson’s brother and both performances are noteworthy. There’s a scene where Elliott’s character comes at odds with Jackson and I could feel Elliott earning an Oscar nomination in that moment. A Star is Born also happens to feature the best music of Lady Gaga’s career. “Shallow” and “Always Remember Us This Way” are amazing songs and the whole soundtrack ranges from good to incredible. Even the poppy “Why Did You Do That?” has its place and plays an important role in the course of the story. Gaga’s performances brought tears to my eyes no less than three times and even Bradley Cooper’s solo songs are quite enjoyable. That reminds me… the stage performances are incredibly shot. I’ve read that the crew shot the scenes during breaks of actual music festivals, so it’s no surprise how authentic it all seems… because they are real performances in front of real crowds. Cooper plays an alcoholic in this movie and it really hit home with me. I’m over eight years dry now and I don’t attend meetings and I have fully rebounded from any lasting affect drinking had on my life. So most of me feels completely removed from that part of my life and the majority of the people in my life these days never even knew that side of me, my wife included. But a small part of me stays vigilant, reminding myself not to forget and not to get too confident in sobriety. I’m sure one of the worst mistakes I could ever make is to think I could possibly drink responsibly. Watching A Star is Born is the closest I’ve felt to my own personal hell in many years. It literally broke my heart watching Jackson Maine succumb to his disease. I thought the portrayal was incredibly authentic and every step of his evolution was something I could personally relate to. It’s amazing how walled off you can be to the damage you are causing to those around you. It’s been a while since a film affected me the way A Star is Born did. It’s easily my favorite film of 2018 and, glancing at my Top 10 lists, might be the best movie I’ve seen in years. This movie really has it all. It’s an absolute must watch that may end up being viewed as a true classic a few years down the road. Replay Value: I’ve seen it twice already and liked it even more the second time. My wife still hasn’t seen it and I’d be happy to watch it a third time in theaters with her. I will definitely be buying this movie. 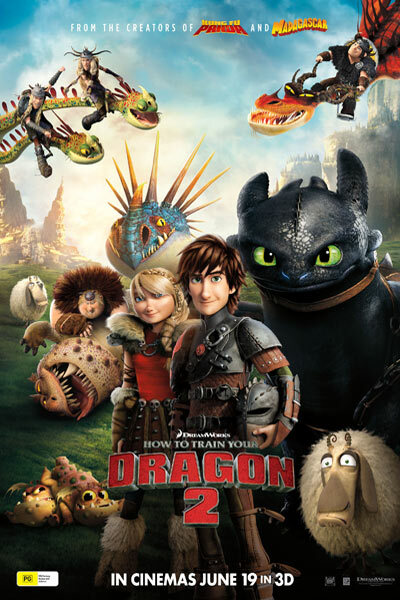 Sequel Potential: No direct sequel potential, but since this is at least the fourth iteration of this film, future versions are clearly likely. Oscar Potential: Tons. Here are your locks for nominations: Best Picture, Best Actor, Best Actress, Best Director, Best Original Song, and Best Sound Mixing. The movie is also drawing live at Best Supporting Actor (for Sam Elliott), Best (Adapted?) Screenplay, Best Original Music Score, Best Cinematography, Best Film Editing, Best Sound Editing, Best Makeup, Best Production Design, and maaaaaaaaybe Best Costume Design. It’s basically drawing live at a nom in every possible category and could challenge the record of 14 total nominations. I’m not sure exactly how Best Original Song works, but if one film can get multiple nominations I expect this one to get at least three in that category alone. This movie will win Best Original Song, but I’m not sure for which song. My personal vote would be for “Shallow.” I will be surprised if someone tops Lady Gaga’s performance in this movie and I can’t imagine rooting for anyone else come Oscar night. This is also my clear favorite for Best Picture at the moment. Dina Meter: I think the second half of this movie is a bit challenging, but I will be pretty shocked if my wife doesn’t fall in love with this movie and if it doesn’t bring her to tears. Bottom Line: Call Me By Your Name is naturally going to draw some comparisons to 2005’s Brokeback Mountain and that might be all the information some of my followers need to decide to stay away. But 2018 is not 2005 and we live in a much more accepting (though still incredibly prejudiced) world nowadays and maybe some of you will appreciate this for what it is: a very solid coming-of-age love story set in Italy during the early 1980s… between a 17 year old boy and a 25 year old man. Yes, not everyone’s cup of tea – and the age difference borders on suspect – but I really enjoyed it. There are some cringe-worthy moments – as is the case with lots of foreign language films – but it’s funny, moving, and plenty memorable. It’s an emotional journey you are truly invested in and the Italian backdrop really engrosses you in the story. Timothee Chalamet gives the strongest 2017 performance from a lead actor that I’ve seen to date and Armie Hammer is also very good in a role I wouldn’t have really expected from him. I also really appreciated Elio’s (Chalamet) parents (Stuhlbarg and Casar). They were very progressive and supportive of what their son was up to, which would be cool enough in 2018, but is even more remarkable for a film set in the 80s. Call Me By Your Name was a lot of fun and highly recommended. If you’re wary about a love story between two guys then it’s probably not for you, but I thought it was one of the better overall films of 2017. I think this could easily be a film I look back on in a few years and realize it’s better than I’m giving it credit for right now. Replay Value: The more I think back on it, the more I’d like to watch it again. Sequel Potential: Director Luca Guadagnino has already announced a sequel, which is rather surprising. Oscar Potential: Nominated for four Oscars: Best Picture, Best Adapted Screenplay, Best Song, and Timothee Chalamet for Best Actor. Wife (30 minutes into movie): I’m going to take a nap. Mom: I think I’m going to go home. Aunt: I’m ready to go. I can’t say that La La Land had me in its grip at that moment, but I’m not one to give up on a movie because other people aren’t enjoying it. I think a lot of the common criticisms of this film are pretty fair, but I also found plenty to like. I seem to be in the very small minority of people that agree that it is tremendously overrated, but still actually enjoyed it. But let’s be real: La La Land isn’t even the best musical of 2016. Disney’s Moana had better songwriting, better vocal performances, and – gasp! – a more engaging story. La La Land was great in a lot of the technical departments like costume design, editing, cinematography, set design, etc., but when focusing on the music and songs, Moana wasn’t just better, it was substantially better. The songs in La La Land aren’t nearly as catchy or memorable. I was expecting to be blown away by “City of Stars,” La La Land‘s Oscar-winning song and… well, it’s criminal that Lin-Manuel Miranda didn’t win for Moana‘s “How Far I’ll Go.” I honestly can’t think of a great musical where at least one song wasn’t stuck in my head for days and La La Land simply doesn’t have a single song like that. They are all rather forgettable. Emma Stone and Ryan Gosling are pretty great in this movie… when they aren’t singing. When they are singing they are merely okay. I can’t say whether or not Stone is deserving of her Best Actress win because I still haven’t seen any of the other nominees, but I thought she was pretty adorable in this role. While I was pretty disappointed with the musical aspects of this movie, I thought the script did a good job of tackling themes of love and sacrifice and how pursuing your passion can be all encompassing, even to the detriment of your relationships. It’s sad and charming and it did resonate with me emotionally. 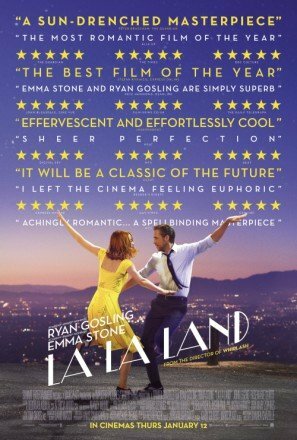 I can’t give La La Land a glowing recommendation. It’s obvious that it is not for everyone. The rest of my audience couldn’t make it through the first thirty minutes and I think they are pretty good representation of the casual film watcher. As a film buff myself, and a fan of musicals, I was disappointed considering all the praise and awards heaped upon this movie – it’s just not that good. I much prefer director Damien Chazelle’s last film Whiplash. Replay Value: Can’t imagine I’ll ever watch this again. Oscar Potential: 6 Oscar wins: Directing, Cinematography, Original Song, Score, Production Design, and Best Actress for Emma Stone; plus another 8 nominations! Bottom Line: Birdman is a brilliant piece of filmmaking from director Alejandro Gonzalez Innaritu and his cinematographer Emmanuel Lubezki. It’s shot and edited in a way that makes it seem like the first two hours of the film were done entirely in one take. While the reality is a bit different, this format still required several long takes and tedious acting and timing from the film’s performers. What results is a seamless journey through a New York theater and the mind of a former Hollywood action star named Riggan – played wonderfully by Michael Keaton – as he tries to reinvent and endear himself to the masses by writing, directing, and starring in a Broadway show. While Birdman isn’t my favorite film of 2014, it’s easy to see why the Academy and critics seemed to agree that it was the best one. From a technical standpoint, they are probably right. It’s also a great character study, as Keaton’s Riggan is quite mystifying – it can be difficult to tell reality from fantasy. What is clear is his desire to break free of the character that made him famous years before, as Riggan is in constant battle with Birdman’s voice in his head. Riggan is certainly more focused on his relationship with his “celebrity” than he is with those in his own personal life. He barely notices his daughter (Stone) even though she works with him in the theater and his love affair with one of his co-stars hardly seems to register with him. This is a man that is highly self-involved. He’s too entrenched with his own demons to notice anyone else’s. Birdman gives us great performances across the board. It’s the best performance I’ve ever seen from Keaton – by a large margin. It’s hard to imagine that Riggan could have been played by anyone else. Edward Norton gives the film’s best performance, however, as Mike Shiner, an established Broadway star that is hired at the last minute to replace one of the show’s actors after an unfortunate “accident.” Shiner is a difficult person and wastes little time in making an enemy of Riggan – suggesting changes in dialogue during his first read through and insisting on drinking real alcohol during rehearsals. Norton plays the role gleefully and provides numerous laughs in the film. The rest of the ensemble cast is sharp and everyone does well with the difficult shooting format. I thought Birdman was a great film. It’s one that is tough to digest after one viewing and requires a bit deeper thinking, so it’s possible I could one day view it as a masterpiece. The one take style is unique and adds to the film’s wonder instead of coming across gimmicky. Keaton and Norton give stunning performances. I don’t think Birdman is for everyone – it’s a bit grimy and plenty difficult – but for serious filmgoers, it’s a clear must see. Replay Value: Multiple viewings required. Oscar Potential: Crushed the Oscars, winning statues for Best Picture, Best Director, Best Original Screenplay, and Best Cinematography, while being nominated in five other categories, including acting noms for Keaton, Norton, and Stone. 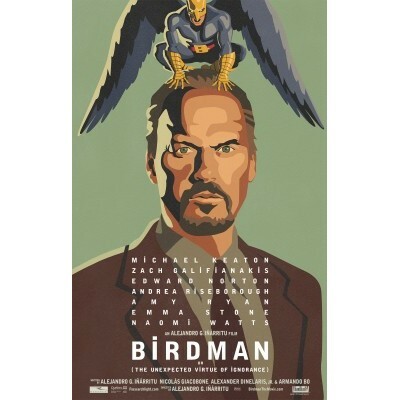 Interestingly, Birdman did not receive a nomination in film editing, which kind of boggles my mind.